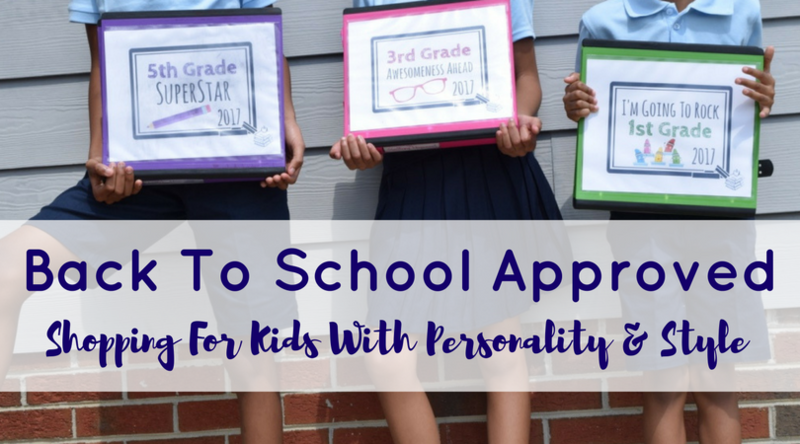 How do you shop for your kids individual personalities plus make sure their looks are still back to school approved? Shop at Cookie’s Kids that’s how! 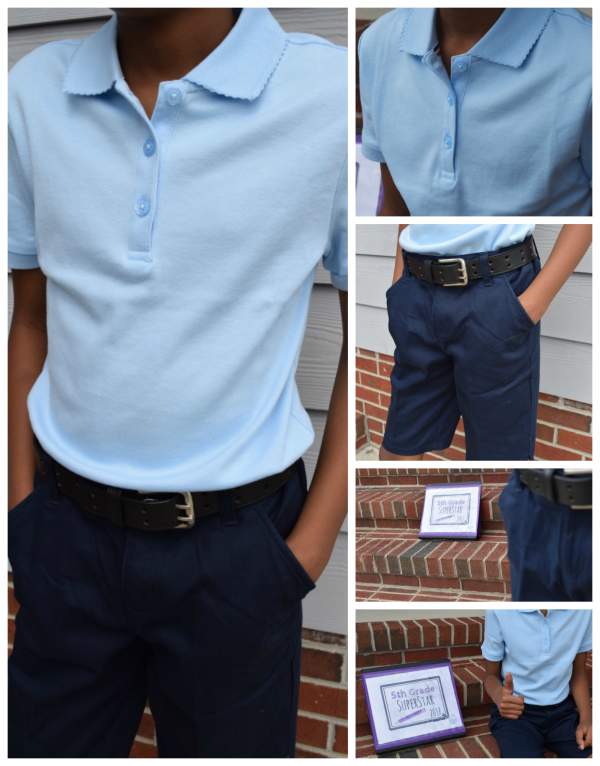 Check out how I found school uniform options for each of my 3 kids plus made sure they were all still back to school approved! My oldest is active, sporty and she wants no parts of anything she feels will hold her back from making her jump shot or having a quick race around the track. 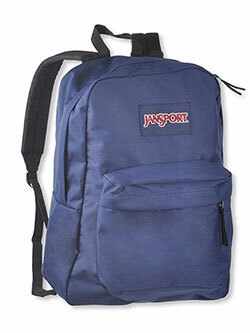 That means shopping for her needs to include tops and bottoms that not only meet the school’s rules but her’s too. She picked the classic pointed collared girls’ polo shirt with just a touch of scallop to the edges and knee length shorts to make sure she still has freedom to move, run and jump. This pre-teen is definitely on her way to being my 5th Grade Superstar this look! My middle daughter is our little Princess. She’s 8 years old and in charge of everything – including her style! In full Princess fashion she went the rounded collar because it was more suited for a Princess. 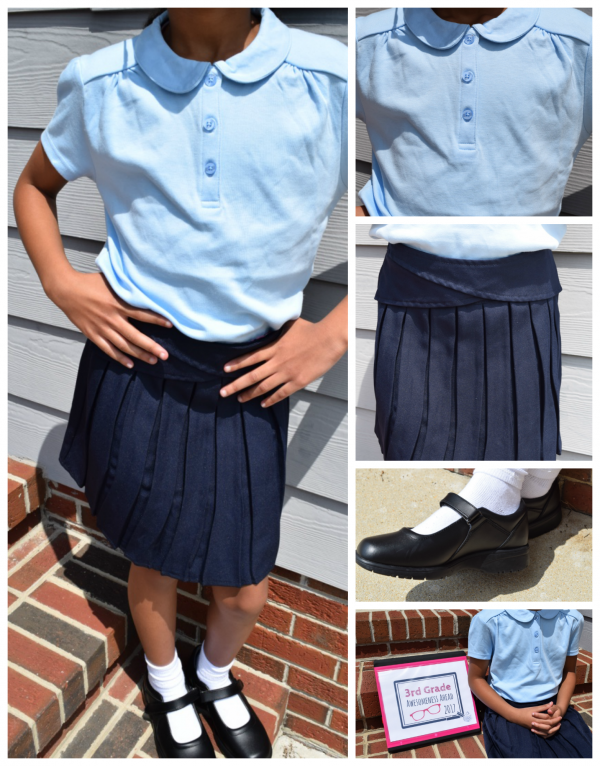 Her style also included a skirt but since I know she will still need freedom to play I decided to go for a skort – all the fun of a skirt with the functionality of shorts. Thanks to this look, she’s all set to make her 3rd Grade year the most awesome one yet! My baby boy is all laughs and super rough. He loves school and loves to play even more. His clothes need to be easy to get on and super fun to wear. I always look for clothes that will last long and wear well. 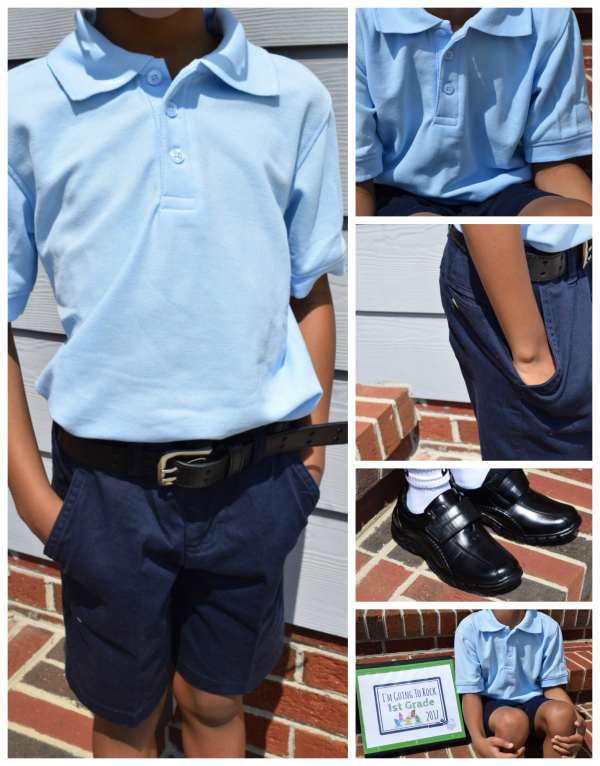 With his classic styled polo shirt and knee length short he’ll have no problem Rocking 1st Grade! 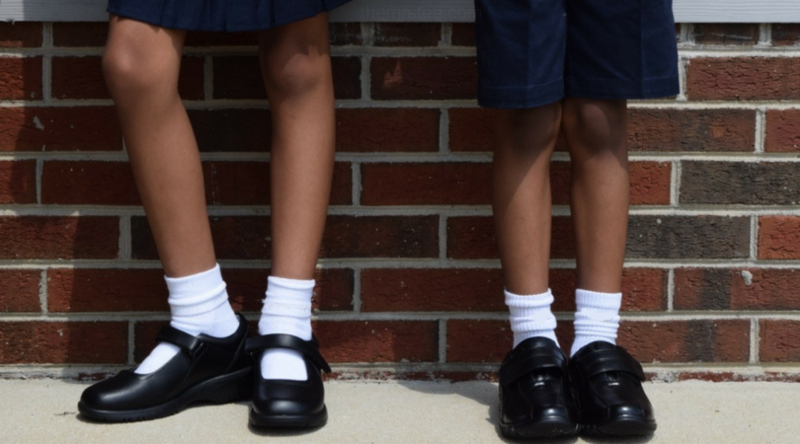 Cookie’s Kids had one of the biggest selections for school shoes I’ve seen online in a long time. I was able to find the girly-est of Mary Jane shoes for my 8 year old plus the perfect snap and go style for my 6 year old. I know these shoes will be able to handle anything the playground can through at them. Shopping for Kids with this much personality means shopping in a way that makes the process as easy as possible. Cookie’s Kids online store gave me all the options I needed to make all three of my uniquely styled kiddies happy. If you’re searching for a way to style your kids no matter what their personality then Cookie’s Kids has the picks and the prices just for you!